Marylanders: The Chesapeake's Oysters Urgently Need Your Help! New threats have emerged to Maryland's vital oyster population and there is no more critical time than now for action. While restoration efforts are working, a recent oyster stock assessment found that Maryland's oyster population has declined by more than half from around 600 million market size oysters in 1999 to less than 300 million in early 2018. But right now a bill before Maryland's House of Representatives presents an opportunity for the state to take a major step forward in restoring the Bay's oysters, by creating an oyster fishery management plan. Oysters are critical not just for water quality (one adult oyster can clean and filter up to 50 gallons of water a day) but also for the valuable habitat and shelter they provide other Chesapeake critters. Tell your state representative how valuable oysters are to our environment, economy, and way of life. Ask them to move oyster restoration efforts forward and support HB720. Subject: Support Maryland's Oysters - HB720! Oysters are a cornerstone of the region's economy, environment, and way of life. We cannot allow this critical resource to deteriorate to the point beyond saving. 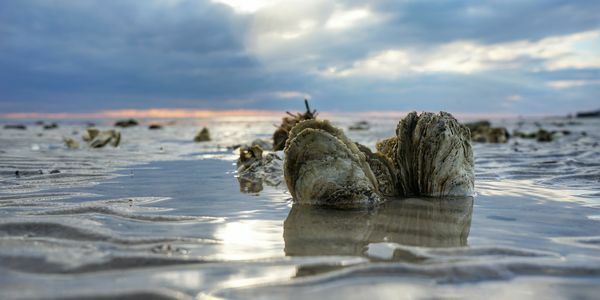 The recent stock assessment for oysters indicated that the adult oyster population declined from 600 million oysters at the start of the study period to less than 300 million oysters in 2018, and overfishing is occurring in more than 50 percent of Maryland waters. The conclusions of the stock assessment indicate that status quo management of the oyster fishery is not working and change is needed, a challenging prospect given the long history and contentious nature of oyster fishery management in Maryland. Fortunately, a new process, piloted by scientists at UMCES for the Choptank region provides an alternative to the traditional top-down approach to development of fishery management plans. This proven, consensus-based method provides an opportunity for a new approach to oyster fishery management that brings together diverse stakeholders with professional facilitators to develop recommendations for oyster fishery management. This bill would also build in public engagement opportunities and transparency in the process. We support amendments to this bill to alter and clarify the stakeholder group and its participants. As amended by the Senate, it provides a balanced stakeholder group to foster cooperation and communication as groups from both sides of the issue would have to come to agreement. The composition of the stakeholder group is critical to the success of this effort, and we support amendments that would make the group more representative and balanced. House Bill 720 presents our best opportunity to bring all the citizens of Maryland together to put forward a plan that will hopefully reverse the decline of Maryland's oysters and rebuild their capacity to support clean water, healthy habitat, and a sustainable and vibrant fishery.